Henshel, William M., photographer, 214 State, Chicago, IL (1878-1879) Lakeside Chicago City Directory; William M. Henshel, portrait photographer, Studio, Nos. 212 and 214 State St., One Block South of Palmer House. "Finest work in the city, at Lowest Prices", and 234 Chicago, Chicago, IL (1880); W. M. Henshel, photographer, 3136 Cottage Grove Ave., Chicago, IL (1892); William M. Henshel, photographer, 25. 79 Clark, Chicago, IL (1900) City Directory; W. M.
Hess, George, photographer, Girard, PA (1900) See census; George Hess (Henrietta), (Hess & Hess), h Main nr Bessemer R R, Girard, PA (1907) Erie City Directory. George Hess born Jan 1866 in New York, marr Henrietta, chn Henrietta b Sep 1890 NY, Anna L. b Dec 1892 NY, Edna M. May 1896 NY, Pauline b Aug 1898 NY. 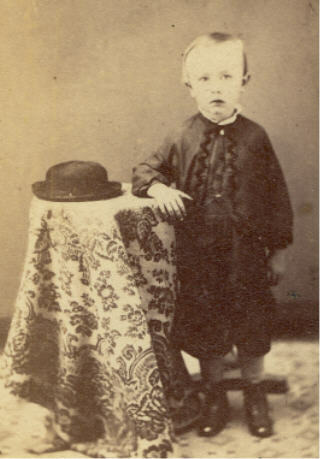 George Hess, son of Mathias Hess and Anna L.
Hess, Godfrey Jr., photographer, No. 3 West Third St., Williamsport, PA (1870s) cdv image; Hess, Godfrey, Jr., photographer, 3 W Third, h 71 E Fourth (See adv), Williamsport, PA (1875) (1877); Godfrey Hess Jr., photographer, h 71 E 4th, Williamsport, PA (1879); Godfrey Hess Jr., photographer, 71 E Fourth St., Williamport, PA (1880) See census. Godfrey Hess born 1845 in PA of French parents. Marr Elizbeth, chn: Rosina b 1875, John E. b 1878. Boarding with them in 1880: John L. Finkbinder, photographer; Godfrey Hess, photographer, 75 North Ave., h 71 E 4th, Williamsport, PA (1881) (1883); Godfrey Hess, photographer, North Ave. bel Franklin, h E 4th bel Franklin, Williamsport, PA (1887); Godfrey Hess, photographer, 348 North Ave., Williamsport, PA (1897) City Directories. Godfrey Hess Sr. lived at 70 E 4th St., Williamsport, PA in 1879. 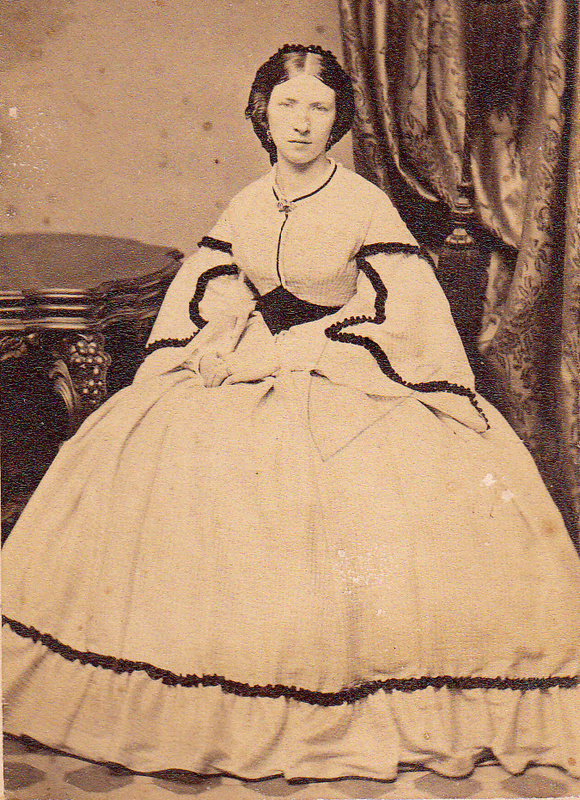 Rosinna Hess, widow of Godfrey Hess lived at 70 E 4th, Williamsport, PA in 1881. Hess, Jonathan, photographer, 454 Penn, h 341 S 5th, Reading, PA (1867) City Directory; J.
Hewitt, Thaddeus E., photographer, Amsterdam, NY (1859) NY State Business Directory; T. E.
Hill, J. M., photographer, Instantaneous Process, Bridgewater, VA (1880s-1890) cdv image, backmark ink stamped? Also printed same way on back: S. A. Ruebush, Travelling Photographer, Instantaneous Process. "Negatives Preserved"
Hill Photo- No. 110 Broad St., Elizabeth, NJ, cor Lake Ave. & Webb St., Asbury Park, (1870s-1880s) cdv image; Hill Photo’-, No. 110 Broad Street, Elizabeth, NJ and cor Lake Ave. & Webb St., Elizabeth, NJ (1875-1880) image example; William H. Hill, photographer, 110 Broad and Asbury Park; 95 Broad, Elizabeth, NJ (1883-1891); W. Henry Hill, photographer, 110 Broad and Asbury Park; 95 Broad, Elizabeth, NJ (1883-1891); William H. Hill, photographer,110 Broad and Asbury Park, 95 Broad, Elizabeth, NJ (1884) (1886) (1887) (1888) (1889) City Directories; William H. Hill, photographer, Elizabeth and Asbury Park, NJ, cdv image. William Henry Hill, photographer, born about 1846 in NY (See Census) in Elizabeth, NJ and Asbury Park, NJ. 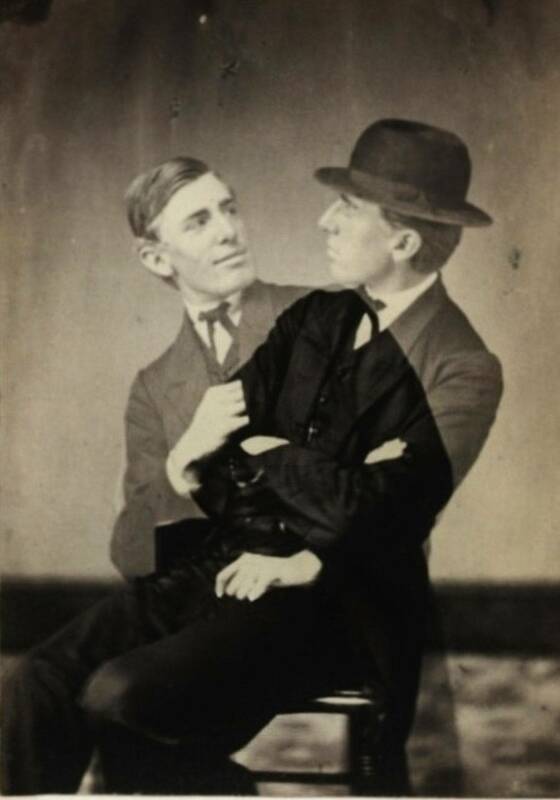 Hinton & Oppenheimer, photographer, No. 56 Dauphine St., Mobile, AL. Hitchcock, Emerson Ward, works in photo gallery at Jenette Hitchcock, Canton, NY (1880) See census. Emerson Ward Hitchcock born 1863 in Canada, son of John Hitchcock and Jenette Blodgett Hitchcock, photographer. Hitchcock, Dr. J., Mrs., photographer, Canton, NY (1861-1869) cdv image; Jennette Hitchcock, photographist, Canton, NY (1870) See Census; Jenette Hitchcock, photographer, Canton, NY (1880) See Census; Jenette Hitchcock, [no occ] 224 Church St., Canton, NY (1900) See census. Jenette Blodgett born 12 Mar 1838 in Hannibal, Oswego, NY, died 26 May 1913. Daughter of Alanson Blodgett and Wealthy M. Beecher. Marr 1 Dec 1861 John Hitchcock, dentist. Chn: Emerson Ward Hitchcock b 1863 in Canada, Edson E. Hitchcock b 1869 in NY, Eva Hitchcock b 1871 in NY. Hitchcock, George, photographer, partner with G. W. Manly, photographer, 63 South Market?, Canton, OH (1880) See Census. George Hitchcock born 1840 in Ohio, of parents born in Mass and VT.